Join us for a Whale of a fundraiser! Vinyard Vines has partnered with While River Sound for an evening of shopping and live music. 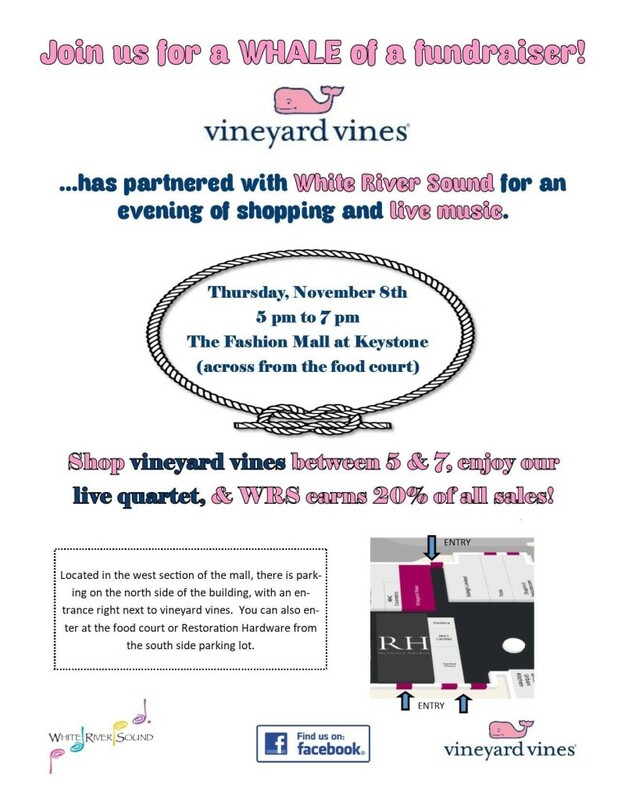 Shop Vinyard Vines between 5 & 7 pm, enjoy our live quartet, and White River Sound earns 20% of all sales! Shop til you drop - while enjoying the sweet harmony of SLQ Quartet from White River Sound! Great BUYS! Great TUNES! FUN! FUN! FUN!